IN ONE OF MY LOGIC CLASSES, the students asserted that the statement “All Hawaiians are Americans” was valid. Upon noticing the disagreement from my facial expression, some of them right away shifted to claiming that it was invalid. With slick smile, I pronounced that neither answer was correct. In my History classes before, I would always tell my students that some historical information such as “that Magellan’s expedition was conceived to search for spices” were doubtful--or worse, false. The argument I submitted—my conclusion vis-à-vis the assumed premise that five ships and hundreds of warriors could not be wisely gambled for mere onions and garlic—is valid. By making the argument nonetheless, I am not in any way claiming that the conclusion is definitely true on its own. Whether or not the conventionally known purpose of the Spanish expedition is in fact true is something I honestly do not know. No time machine is already available through which we can verify the matter. What I’m sure of is that the argument I have put forward is valid. Confusion in what we are trying to point out in these two issues stems from the erroneous notion that validity and truth are synonymous. Contrary to what many presume, ‘what is true’ is not accurately tantamount to ‘what is valid’, and vice versa. Study of Logic informs us that statement is either true or false, while arguments, either valid or invalid. From this information, one could identify the basic difference between validity and truth: Validity is a quality of arguments while truth is a value of statements. Clearly then, it is wrong to say that “All Hawaiians are Americans” is valid or invalid–-because this is a statement, and thus, can only be either true or false. A. All dogs are mammals. Therefore, all puppies are mammals. B. All cats are frogs. Therefore, all monkeys are frogs. When students are asked whether each is valid or invalid, majority, if not all, tend to respond that the first argument is valid while the second, invalid. This claim is of course wrong. Logically speaking, both arguments are valid. The confusion springs from equating the validity of an argument to the truth of its premises and conclusion, and its invalidity to the falsity of its premises and conclusion. Realizing that the three statements composing argument B are in reality false, they conclude that the argument as a whole is invalid. This is of course logically incorrect. So what is truth? What is validity? Though truth is not a concept that one can comfortably define, especially in Philosophy, just for the urgency to distinguish it from validity here, we guess it is not wrong to say that “a statement is true if what it asserts matches what is observed in reality”. The statement “All gold are metal” is deemed true on the ground that in reality, gold are seen to possess the qualities of what we call metal (not that of stone or anything else). Truth, therefore, can be said to be referring to the certitude or correctness of statement in relation to reality. Validity, on the other hand, is a condition of an argument in which the conclusion is true on the reason that its premises are considered true. In other words, a valid argument is such that if the premises are assumed to be true, it is impossible for the conclusion to be false. In a valid argument, the conclusion is regarded as true not necessarily because of its relation to reality but because of the assumed truth of its legitimate premises. This is the reason argument B is just as valid as argument A. If one assumes “All cats are frog” and “All monkeys are cats” to be true, then he is necessitated to acknowledge that “All monkeys are frogs” as also true—in the same way he admits the conclusion “All puppies are mammals” to be true, based on its premises in the argument. The two arguments have the same structure or form that requires logical thinking to consider them both valid. This is all what validity seeks for. 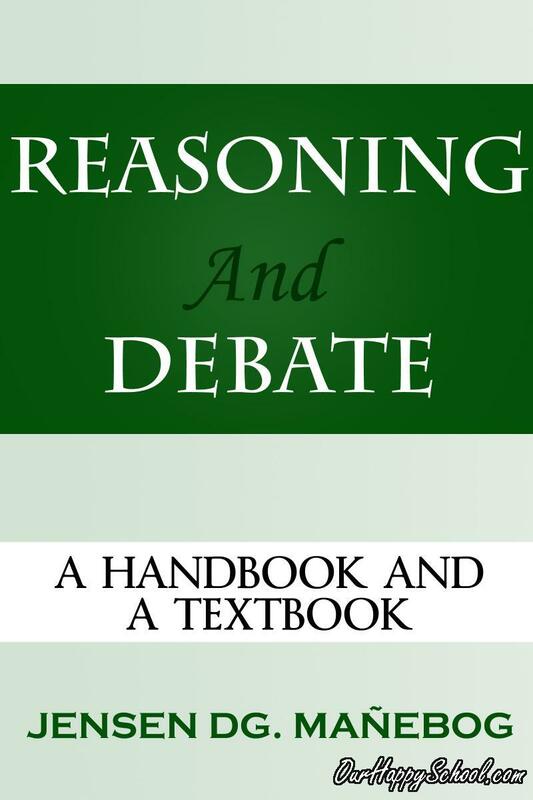 It is concerned with the correctness of the process or flow of thought in deducing conclusion from premises—not with whether or not the statements composing the argument are actually true (or matching the reality). Logic, the branch of philosophy that serves as its language, deals mostly with validity and not necessarily with truth. In fact, this academic subject entertains sentences like “All gremlins are green”, “All A are B,” “All mitts are utts,” and others whose subjects are non-existent, unreal, or mere concepts. What matters most in this discipline is validity--logical propositions need not be unquestionably ‘true’. Once again, that validity and truth do not fall squarely on each other has been expressed by this principle. To further learn and test your self whether or not you understood the principles in Logic discussed in this lecture, try the cool and 'no-harm' E-LEARNING GAME below. But before taking the e-quiz, you may want to watch this pertinent video first. FOR STUDENTS: To have an access to this FUN QUIZ GAME, click fiirst the Facebook LIKE button above (if you have not clicked it yet). After taking this fun quiz, 'print Screen' or 'Screen shot' your quiz score, print it, and submit to your Logic/Debate Professor. Have Fun! 1. What makes a statement true? 2. What makes the conclusion of a valid deductive argument true? 3. Why is it wrong to say that “All Hawaiians are Americans” is valid? NOTE: Click first the 'RECOMMEND' and 'SHARE" buttons before writing any comment/answer in the comment section below [add a comment]. Thank you!